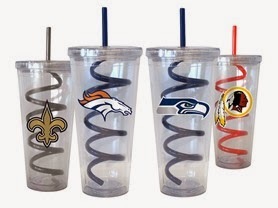 Hurry over to WOOT because right now you can get these NFL Swirl Straw Tumblers available in 19 different teams for only $7.99 (Retail $17.99). Amy just grabbed 3 and paid a flat rate of $5 for shipping! Teams are selling out quickly.